Welcome back to The Philosopher’s Lexicon. My primary goal in this series is to explore common philosophical vocabulary, hopefully transforming these words from useless jargon into meaningful terms. My secondary goal is to highlight how contentious some of these terms can be – especially those which seem obvious. These definitions will not be comprehensive by any means, so please feel free to add your own understanding of each term as we go. (1) Ralph believes that someone is a spy. This could mean either of the following. (3) Someone is such that Ralph believes that he is a spy. The first meaning (2) is what results when the initial statement (1) is taken de dicto. The meaning of the proposition is found literally within the words given, in a self-contained way. The second rendering (3) is referring to some thing out in the world that is being represented by the words in the statement, meaning that what we are looking for is not just the meaning of the words de dicto, but the meaning behind the words, de re. There is, of course, a lot of complexity in working out this sort of ambiguity in our language with logical notation and categorical distinctions, but what is more interesting to me is how this ambiguity plays out not just in our syntax, but in our affirmation of truths, our understanding of the world, and in our beliefs. This distinction between de dicto and de re beliefs has been on my mind recently because of a short comment made at a theological ethics talk I attended a few weeks ago. The topic of conversation (very loosely rendered) was whether (and of course, how) the morality of an act depended upon a person’s express belief in its morality de dicto, or upon the alignment of the particular act with an objective moral standard de re. This is, of course, a fairly easy dilemma to solve if we’re operating under expressly Abrahamic assumptions. If there is an objective standard of goodness against which all acts must be measured, then clearly that standard will supersede our own human understanding and linguistic representation of it. Moving into an expressly Christian framework, if a person professes to believe in the word of Christ de dicto, but acts in a way that is contrary to all Christian teachings, the acts themselves are still immoral. For it is not those who hear the law who are righteous in God’s sight, but it is those who obey the law who will be declared righteous. (Indeed, when Gentiles, who do not have the law, do by nature things required by the law, they are a law for themselves, even though they do not have the law. They show that the requirements of the law are written on their hearts, their consciences also bearing witness, and their thoughts sometimes accusing them and at other times even defending them.) (Romans 2:12-15, NIV). Then I fell at his feet and thought, Surely this is the hour of death, for the Lion (who is worthy of all honor) will know that I have served Tash all my days and not him… But the Glorious One bent down his golden head and touched my forehead with his tongue and said, Son, thou art welcome. But I said, Alas, Lord, I am no son of thine but a servant of Tash. He answered, Child, all the service thou has done to Tash, I account as service done to me… if any man swear by Tash and keep his oath for the oath’s sake, it is by me that he has truly sworn, though he know it not, and it is I who reward him. 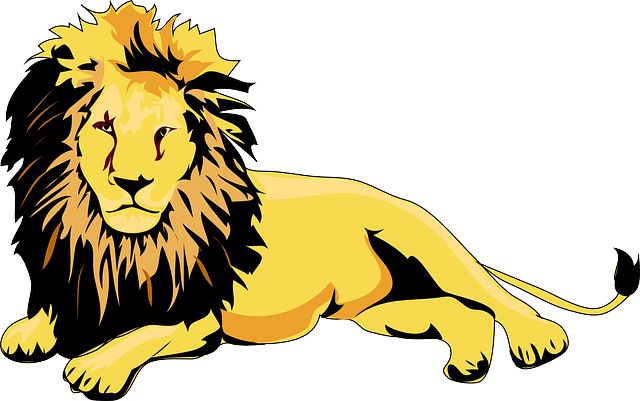 And if any man do a cruelty in my name, then, though he says the name Aslan, it is Tash whom he serves and by Tash his deed is accepted (Lewis 204,205). This same model remains useful if we remove it from a theological context but still maintain an objective standard de re. When it comes to mathematics, a de dicto approach would focus on notation, equations, and formulas, while a strictly de re approach would relegate mathematical language to the role of tool which merely helps us find answers. This probably seems extremely obvious, but in practice we often focus far more on the way mathematics is expressed than on the rational truths being expressed, when in truth, we really need a balance of both. In previous posts on education I’ve called this a “vocabulary-based” approach, but the de dicto/de re distinction is perhaps more precise. While I was doing all this trigonometry, I didn’t like the symbols for sine, cosine, tangent, and so on. To me, “sin f” looked like s times i times n times f! So I invented another symbol, like a square root sign, that was a sigma with a long arm sticking out of it, and I put the f underneath. For the tangent it was a tau with the top of the tau extended, and for the cosine I made a kind of gamma, but it looked a little bit like the square root sign… I thought my symbols were just as good, if not better, than the regular symbols – it doesn’t make any difference what symbols you use – but I discovered later that it does make a difference. Once when I was explaining something to another kid in high school, without thinking I started to make these symbols, and he said, “What the hell are those?” I realized then that if I’m going to talk to anybody else, I’ll have to use the standard symbols, so I eventually gave up my own symbols (Feynman 24). I don’t know what’s the matter with people: they don’t learn by understanding; they learn by some other way – by rote, or something. Their knowledge is so fragile! (Feynman 36,37). What is clear to me in both the theological and the mathematical examples is that while the re is different, so long as we believe there is some objective external standard of truth to be found, this distinction is absolutely necessary, as collapsing the distinction tends to lead to an erosion of understanding. In religious frameworks we end up focusing on trivial contradictions and minute, seemingly arbitrary details at the expense of the general spirit or message a particular religion is attempting to prioritize. In mathematics, we focus so much on the process that we miss out on the end result. In taking the de dicto meaning of a proposition for the de re, we shift our focus from finding truth to merely affirming agreement. Of course, if there is no re that exists outside of our representation in language and symbols, then this distinction naturally falls apart. But while I’m unwilling to stake a claim on the exact nature of what is objectively true de re, I’m committed enough to its existence to find this distinction – and this particular piece of jargon – invaluable. I would like to share a bit of writing by C. S. Lewis in a letter to his brother about a walking trip in 1928. Lewis often went on walking vacations with friends, packing no provisions, but instead stopping at inns and pubs along the way for refreshment and lodging. They’d walk about 20 miles in a day before settling down for the night. This time we committed the folly of selecting a billeting area for the night instead of one good town: i.e., we said ‘Well here are four villages within a mile of one another and the map marks an inn in each so we shall be sure to get somewhere.’ Your imagination can suggest what this results in by about eight o’clock of an evening, after twenty miles of walking, when one is just turning away from the first unsuccessful attempt and a thin cold rain is beginning to fall. Yet these hardships had their compensations: thin at the time, but very rich in memory. One never knows the snugness and beauty of an English village twilight so well as in the homelessness of such a moment: when the lights are beginning to show up in the cottage windows and one sees the natives clumping past to the pub – clouds meanwhile piling up ‘to weather’. Our particular village was in a deep narrow valley with woods all round it and a rushing stream that grew louder as the night came on. Then comes the time when you have to strike a light (with difficulties) in order to read the maps: and when the match fizzles out, you realize for the first time how dark it really is: and as you go away, the village fixes itself in your mind – for enjoyment ten, twenty, or thirty years bend – as a place of impossible peace and dreaminess. I’ve only come across this passage recently, but it has very quickly become one of my favorites. I’ve experienced something like this myself in my travels. I was hiking along the Cliffs of Moher, and about three hours out the weather suddenly changed from beautiful to treacherous. The mist was so thick I could barely see the other hikers, much less the edges of the path, which the rain had made slippery and unstable. There were roughly five hours before the last bus home, but with the rain and the mud and the spray of the ocean, the hike back was much more difficult than the hike out. It took over four hours to get back to the visitor’s center, and by then my friend and I were beyond tired, beyond hungry, and beyond wet and cold. The discovery that the cafeteria only accepted cash left us in conundrum. We had cards, but there was no ATM. We inquired with the gift shop (which did accept cards) about purchasing something with our credit cards and then returning it for cash, but we were unsuccessful. We pooled our pennies for a tiny pack of peanuts that seemed like the most nutritious thing we could afford, and when we went to the counter to pay, I’m sure we looked pathetic. Covered in mud and still dripping, counting our coins out one by one. The woman at the counter frowned, and then brought us each out a bowl of soup. I tried to thank her, but she shushed me and shooed us away. After a few moments, she brought us out hot biscuits to go with our meal. It stands out in my mind as one of the best meals of my life, filled with warmth and kindness. It was as snug and beautiful as the village Lewis describes above, and will be fixed forever in my mind as a moment of impossible peace and dreaminess. 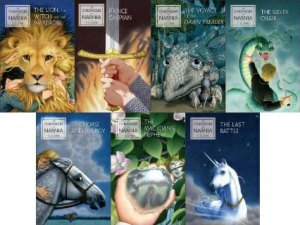 People often debate about the reading order of CS Lewis’ Narnia series, some arguing that we should read them in the order they were published, while modern publishers issue them according to the stories internal chronology (loosely speaking). Really, Brenton Dickieson gives us the only real way to read the Narnia series; that is, to re-read them, in various orders, learning something different each time, with one caveat: the very first time you pick up the series, start with The Lion, the Witch, and the Wardobe, and I would add, end with The Last Battle. Everything in between is up for debate, but those two are proper bookends.